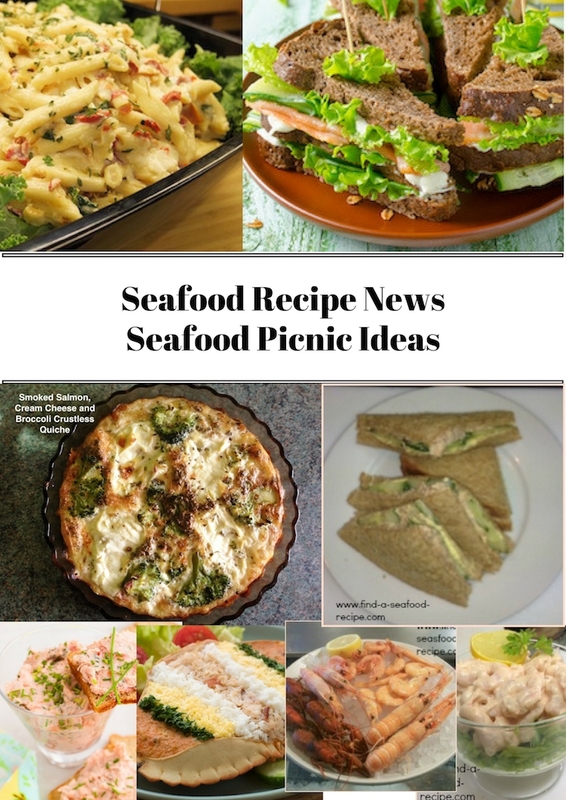 Kid friendly seafood recipes are the topic for Issue # of Seafood Recipe News. 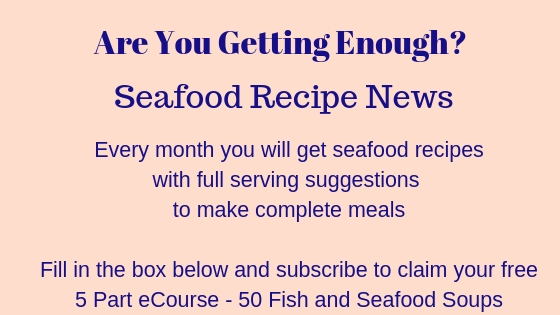 We're told that we should aim to eat at least two portions of fish a week and one of them should be oily. Many kids (and grown ups) are put off fish by the small bones they sometimes find, so it's hard to persuade them to eat it. If you're going to try and get *your* two portions a week, then you're going to either end up cooking two main meals to suit everybody or you all eat fish fingers! So - you're not a short order chef - what's the option? It's a trend that people are aiming for meat free days - Pescatarians are as common as Vegetarians. People feel that giving up or cutting back on meat and keeping fish in their diet is a good way of moving towards a more healthy lifestyle. It's a sort of halfway house, a compromise. The Mediterranean diet is one of the healthiest and that is heavy on seafood and vegetables and very light on meat. 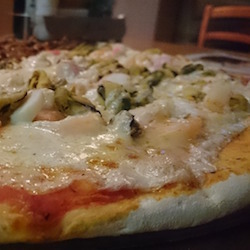 Even if they have meat, it's a small portion in a sauce with pasta or vegetables. Meat is not the main event. At our house, we have one lot of meat a week - if it's a chicken, it's normally two main meals and I strip the meat from the carcass, freeze it and we eat it the following week. Other than that, we have fish or purely vegetable meals. 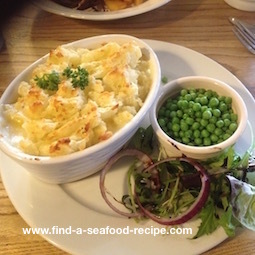 One of the most kid friendly seafood recipes is Fish Pie. 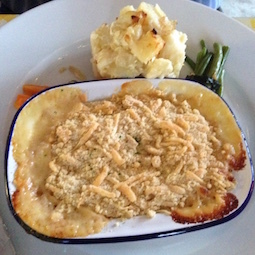 You might know it as Fishermans Pie. It's real comfort food and there are many different recipes for it. 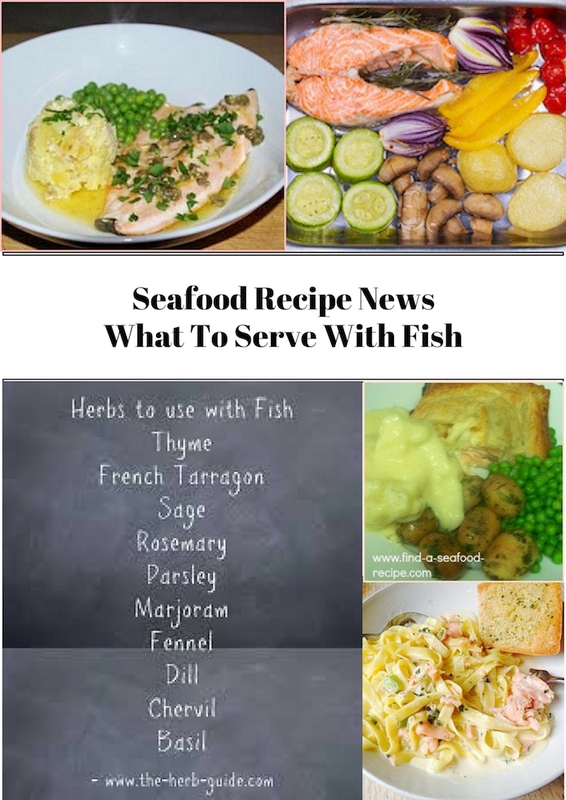 A basic one is to cook fish for about five minutes in seasoned milk - thicken the sauce slightly with cornstarch (cornflour) and then tip it into an ovenproof dish - top with mashed potato and bake in the oven for around thirty minutes until the top is nice and crispy. Serve it with some peas and perhaps a bit of side salad if you like - I love the contrast with hot and cold. It was one of the meals my son loved to help with when he was about 7 years old and he'd *always* eat it and ask for seconds. This is a slightly more grown up version of Fishermans Pie. It has some veggies in it and a crumble topping flavored with cheese. I think you and the kids will like it. Not only is it 'kid friendly' you can dress it up with some defrosted shrimp - change the veggies out to suit yourselves. I've got diced carrot, mushroom and broccoli florets, but you could just put peas in if it's the only 'green' thing the kids will eat. You can serve your carrots and broccoli separately. The good thing about both of these pies is that the fish is in chunks, so you can check it for bones before cooking. You'll need to make up some diced salad, buy some guacamole and tortilla chips. The recipe states Tilapia fish, but you can use any white fish fillets you like. Cod is a mild flavor, but if your kids will eat it, then try grilled salmon fillets. 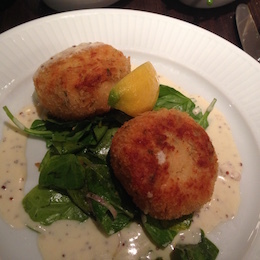 If you prefer, you could drop the white fish into breadcrumbs (not the salmon!) and fry in oil if you prefer. Adjust the salad ingredients to what you know your people will eat - corn kernels, grated carrot, shredded white cabbage, lots of children eat those before they do 'grown up' salad ingredients. 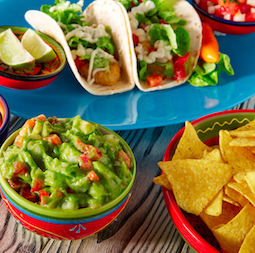 All we're really aiming at, is getting away from fish fingers BUT if that's all they'll eat, then you can cook some fish fingers to go in their tacos! You can eat the 'grown up' stuff WIN! Tuna Pate - absolutely gorgeous, either on toast or in a sandwich. 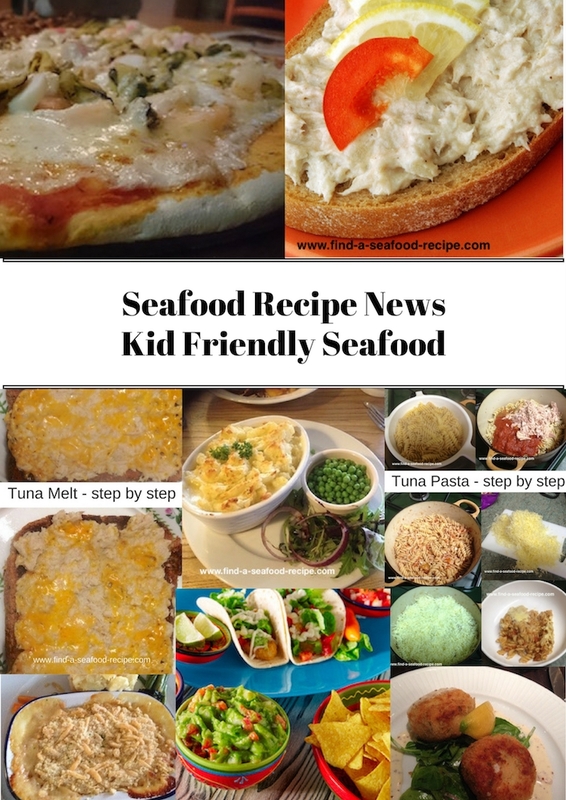 If you click through to the recipe page, you'll find links to Tuna Carbonara, Melt and Pasta - all great kid friendly seafood recipes that you'll love too! Salmon is an oily fish and we're supposed to aim for one portion a week. These Salmon Patties are perfect - you can use fresh, smoked or canned, they all retain their Omega oils during the canning process. 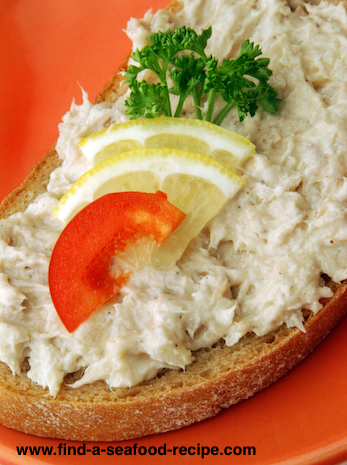 Whilst fresh tuna is an oily fish, it loses its properties in the canning, so you can't count it as your one portion. You can serve these with some peas and fries (or boiled new potatoes and salad) if you like and maybe some mayonnaise for dipping. Tartar sauce can be a bit harsh for the delicate flavour of salmon I think. A Seafood Pizza This is where you can either go with the 'safe' as in canned tuna or try the canned pilchards, sardines or mackerel to get the oily fish portion in. Peeled shrimp are wonderful as well, just a few scattered on top. It's a matter of finding what people like - and of course, as *you're* cooking it, you can always do half and half. You are totally in control - isn't that a lovely feeling? Serve it with some coleslaw - I love the hot/cold combination. Maybe some potato wedges and a dip. 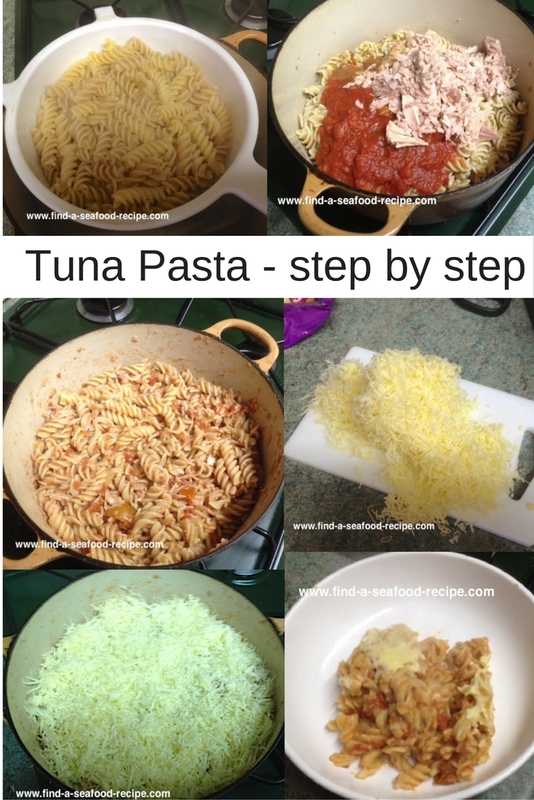 Tuna Pasta Bake - this is the first thing my son cooked alone (apart from me doing the straining of boiling water and taking the dish out of the oven) when he was 7 years old. He managed to open cans and packets, weigh everything out, grate the cheese, mix it together, taste and season - amazing. It's a great dish for your kids to make and they'll feel such pride in feeding their family. We compromised. I said that would be fabulous to have a night off cooking, but I would just hang around the kitchen to wash up as he went along and pass him stuff. If he needed any help, then I would be his Commis Chef. I sat in the kitchen pretending to read the newspaper - heart in my mouth, but pretending to be 'cool'. I only stepped in to strain the pasta and pull the dish towards the front of the oven so he could get a better grip on it, with oven gloves. I'd like to also share with you that this casserole dish in the photos is the actual pot he used - 20 years ago (in 1997) and I'm still using it. Isn't that amazing? It wasn't new then - I would estimate I'd bought it before he was born, or maybe in the early nineties. I'm so happy to see it on my website <3 I use it most weeks and it always brings a smile to my face when I do, remembering how he so desperately wanted to cook. I still have one of the Flame Orange casserole dishes - you certainly get what you pay for when it comes to cookware. This is Le Creuset - extremely heavy but also hard wearing, lasts for decades. (Is he really 27??) I can't see it wearing out any time soon. Wow - this has become such a trip down Memory Lane - isn't food incredible, the way it does that to you? Thanks for your indulgence. 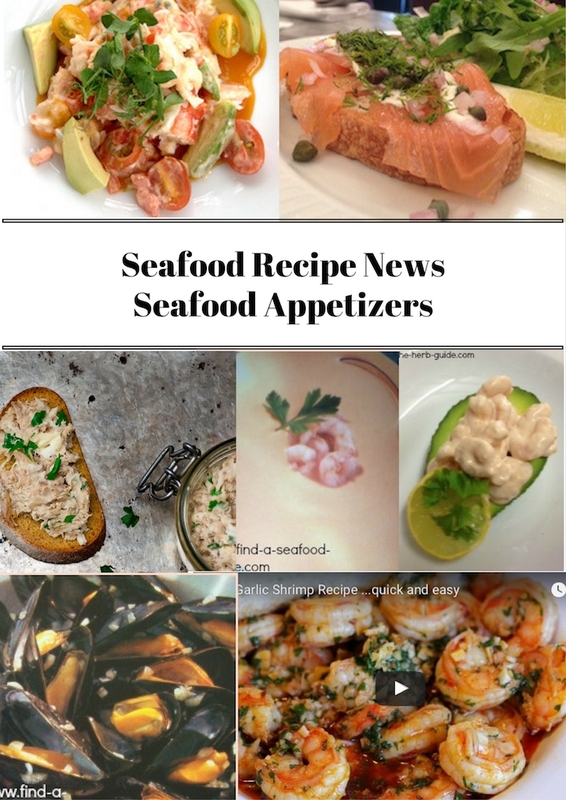 Fantastic selection of child friendly seafood recipes - some they can even help you cook. Saves you having to cook two meals or live on fish fingers.